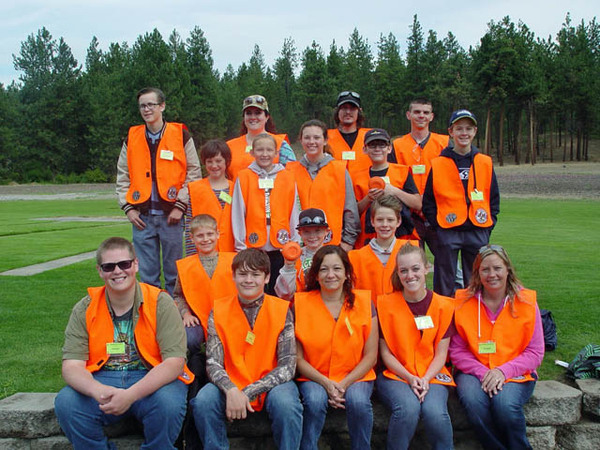 Our Hunter Education Classes are provided under the sponsorship of the Northwest Sportsman's Club and are held at the Greater Spokane Elks Lodge. Also, thanks to the Hauser Lake Gun Club we are able to provide a field course with simulated shoot/don't shoot scenarios, and various obstacle crossings. We also have a live fire session, shooting five rounds with 20 gauge shotguns at clay targets. In addition to the fact that the generosity of our sponsoring organizations enables us to provide these classes free of charge, there is an added bonus opportunity for students under 18 years of age. 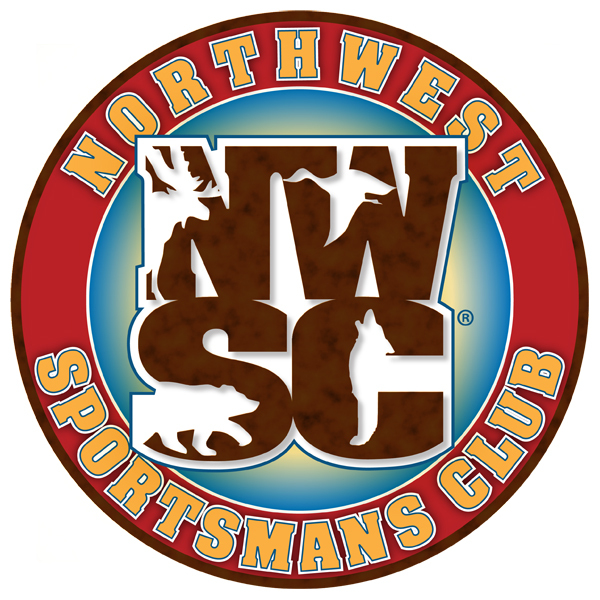 The Northwest Sportsman's Club purchases a number of Cabela's gift cards to be awarded to two students in each of our classes. Every student under 18, who successfully completes the course, will be entered into a drawing at the end of our field day for one $50 gift card and one $100 gift card! Questions? Please contact Jim at Jim@oldmissourihillbilly.com. 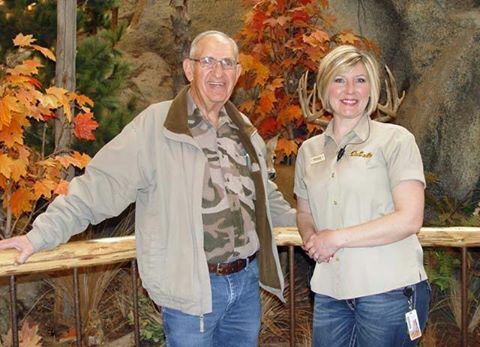 Pictured here is our Hunter Ed Instructor Jim Parman with our friend from Cabelas, Stephanie Harris. 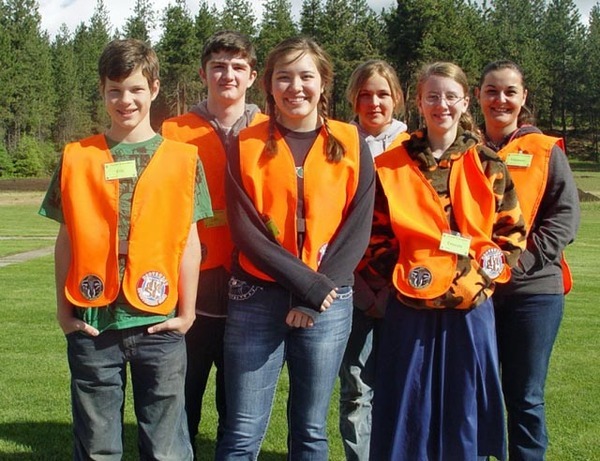 We certainly appreciate the support that our local Cabelas gives our Hunter education program. 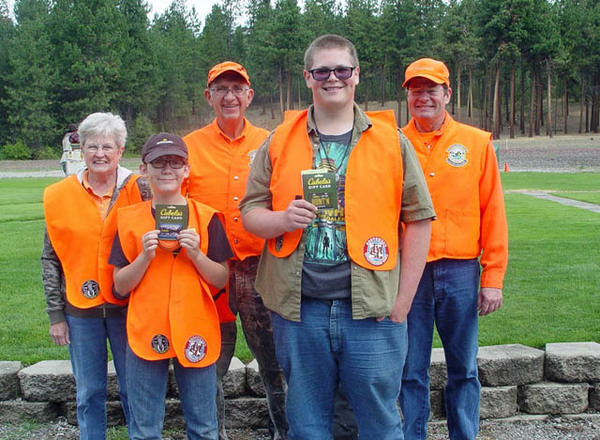 During our classes, every student under the age of 18 that completes our classes, participates in classroom discussion, is eligible for a drawing to win a Cabelas $100.00 or $50.00 gift certificate. All of our graduating students under the age of 18 that successfully attend the classroom studies and pass the field course are eligible for one of two drawings for a Cabelas gift card. 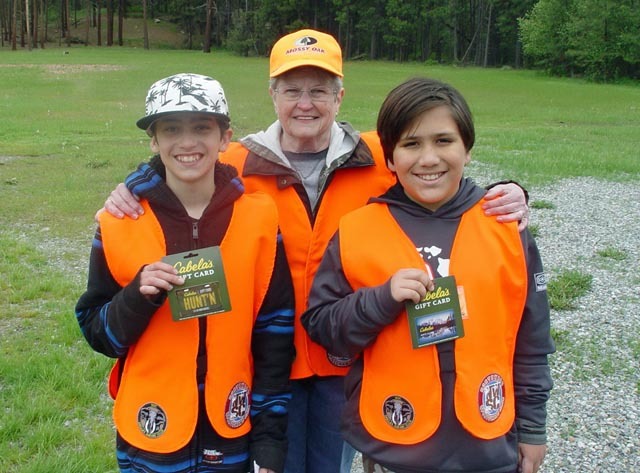 Pictured here are the winners of the $50.00 and $100.00 gift cards from Cabelas with Ann Parman. Graduating Class of the Session #2 Hunter Education. Sponsored by NWSC. 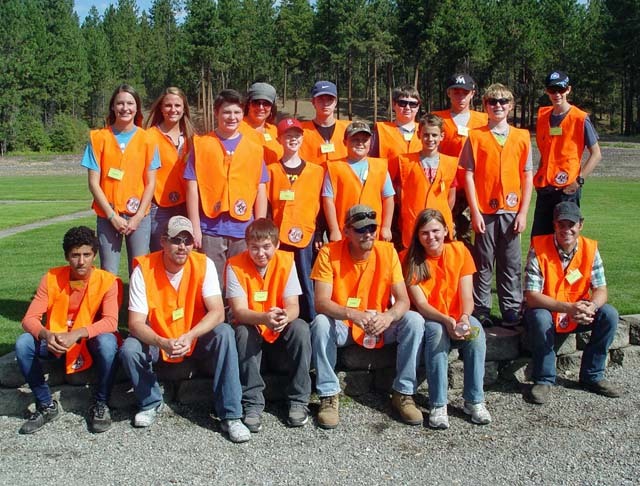 The field Course test was at Hauser Lake Gun Club. All of our graduating students under the age of 18 that successfully attend the classroom studies and pass the field course are eligible for one of two drawings for a Cabelas gift card. 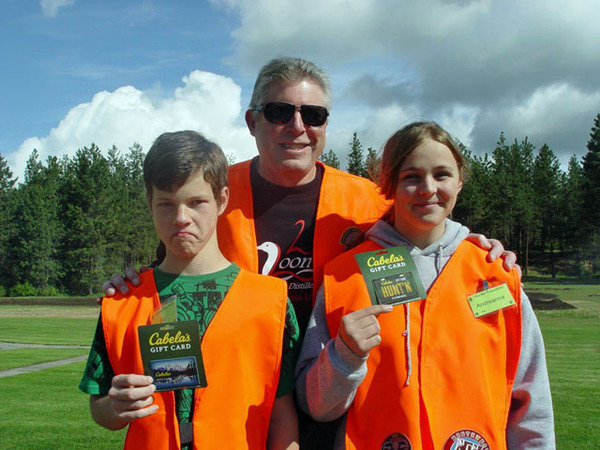 Pictured here are the winners of the $50.00 and $100.00 gift cards from Cabelas with President Stan Flugel. All of our graduating students under the age of 18 that successfully attend the classroom studies and pass the field course are eligible for one of two drawings for a Cabelas gift card. Pictured here are the winners of the $50.00 and $100.00 gift cards from Cabelas with our lead instructors Jim Parman, Rick Parman and Ann Parman. Graduating Class of the Session #4 Hunter Education. Sponsored by NWSC. 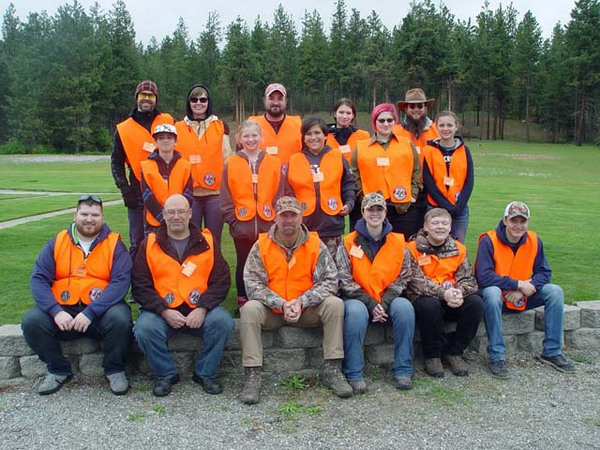 The field Course test was at Hauser Lake Gun Club. All financial support and volunteer support is being sponsored by the NWSC. 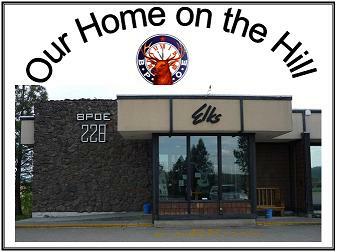 The classroom venue is at the Greater Spokane Elks lodge #228. The address is: 2605 North Robie Court in the Spokane Valley. FYI~ your GPS navigation will NOT direct you to the proper address.